Rwanda — From the Horrors of Genocide to Democracy? Rwanda’s recent election, its turn toward authoritarianism, and the involvement of Western capital are analyzed. Rwandan President Paul Kagame is accused of ignoring the call to honor Tutsi moderates who were murdered because of their stand against the xenophobia that cost hundreds of thousands of Rwandese lives. If we are to take him seriously he should do so and show that he wants to heal and move the country forward. But it is proving difficult to take him seriously. Many people have no doubt in their minds that he is no better than the many dictators who are running the affairs of the continent today. He is accused of using the genocide memories to silence his opponents. The murder of the Rwandan Green Democratic Party vice-president Andre Kagwa Rwisereka during the run-up to the July 2010 election and the banning of opposition parties are some of things cited as evidence. In his handling of the political affairs in the country it is seems beyond doubt that Kagame is playing the role of an iron man, with total control. If we are to go by the recent election results, there is no doubt that Kagame is very popular in his country. Even the absentee votes tell the same story. He has to a great extent brought about a stable country. Since 2001, the country has been enjoying economic growth of more than 5 percent. This is attributed to coffee and tea trade, and tourism. But skeptics regard this economic growth as more myth than fact, as on the ground, poverty seems not to move an inch. The accusation that Rwanda is involved in illegal mining in the occupied eastern area of Democratic Republic of Congo is hardly mentioned, because of the simple fact that Western capital is enjoying the benefits of the looting. On July 20th this year, President Obama signed the Dodd-Frank Wall Street Reform and Consumer Protection ACT (http://allafrica.com/stories/201008161480.html) a move to prevent the trading of illegal mining minerals from Congo. Despite Rwanda’s claims to be putting in place the certification for mining companies, this move by the Obama administration irritates the Rwandan government. Paul Kagame was Ugandan President Yuweri Museveni’s protégé. In 1986 he was active in the then military wing of the Ugandan Liberation Movement that brought Museveni and his political movement to power. By 1987, the Rwandan Patriotic Front was born and able to launch their assault from Uganda. Kagame was able to win power after the collapse of the Arusha agreement, which saw the formation of an alliance government, followed by the brutal massacre of hundreds of thousands of Tutsis and moderate Hutus within very few weeks. It is widely believed that Rwanda is engaged in intensive mining in eastern Congo, which Rwandan troops are occupying on the pretext that the degenerated Hutu militia who fled to Congo is using the area as a base to destabilise the country. Critics have attributed some of the claimed economic growth in the country to this illegal mining. Not only was the vice-president of his party found murdered in the run-up to the elections; the party was banned from contesting the elections, along with many other political parties. The three political parties that were allowed to contest the elections were seen as stooges of the ruling party rather than serious opposition parties. Kagame has been using the genocide legislation to crack down on his opponents, by banning newspapers and radio stations that have been critical of him, arresting and detaining journalists, and declaring war against political parties in the name of distorting the facts of the genocide. His supporters disagree and label the banned political parties as significant forces in the politics of the country. Kagame is not receiving all his praise from the West for nothing. 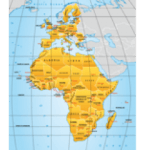 The European Union is trying to force the African nations into a form of economic cooperation that clearly disadvantages poor African farmers and their countries. Kagame is a proud signatory to the Economic Partnership Agreement (EPA) along with other East African countries at a time when the majority of the African leaders are resisting such an unfair and undemocratic economic partnership (see Africa Agenda, Vol. 13. No. 3). The present economic crisis in Europe is forcing the European Union to put huge pressure on the Continent to open up for the maximum exploitation of its resources, in order to market them to the detriment of the struggling masses. Now they have resorted to destabilising the resistance of the Continent against the present form of the EPA, through the old colonial tactics of divide and rule. It is neither the 90 percent-plus of votes, the red carpets of the World Bank, the IMF, and the EU, nor the politics of intimidation of his political opponents or political rhetoric that will spell out a free and democratic Rwanda. In reality, a liberated Rwanda will be the work of free minds. Ba Karang has written widely on African liberation, racism, and immigrant rights.